2004: NASA's Cassini probe reaches Saturn - and the story of Titan begins. 2004: NASA's Cassini probe reaches Saturn - and the story of Titan begins. 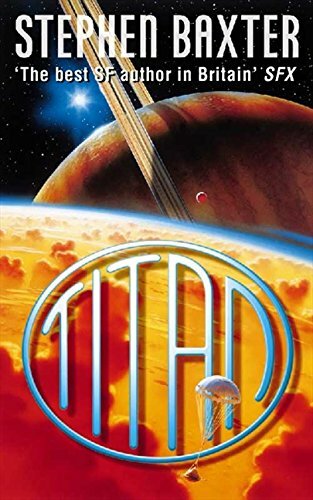 Titan is the epic saga of one woman's will to succeed and the triumph of a dream over bureaucracy and fear. Paula Benacerraf, grandmother and astronaut, is appointed to oversee the dismantling of the Shuttle fleet after another Challenger-type disaster. Instead, she listens to the oddball JPL scientist Rosenberg, who is determined to explore the ammonia-based life Cassini discovers on Titan. Using NASA's rusting Saturn rockets, mothballed Apollos and remaining Shuttles, frail humans are hurled, in the face of violent opposition from the military, to the edge of the Solar System. To the edge, also, of sanity.